Lavish and brilliantly equipped for charter, CAPRI I is an exceptional 192ft (58.6m) Lurssen superyacht with 5-star amenities and accommodation for up to 12 guests, available for charter in the Greek Islands, Turkey and Croatia. 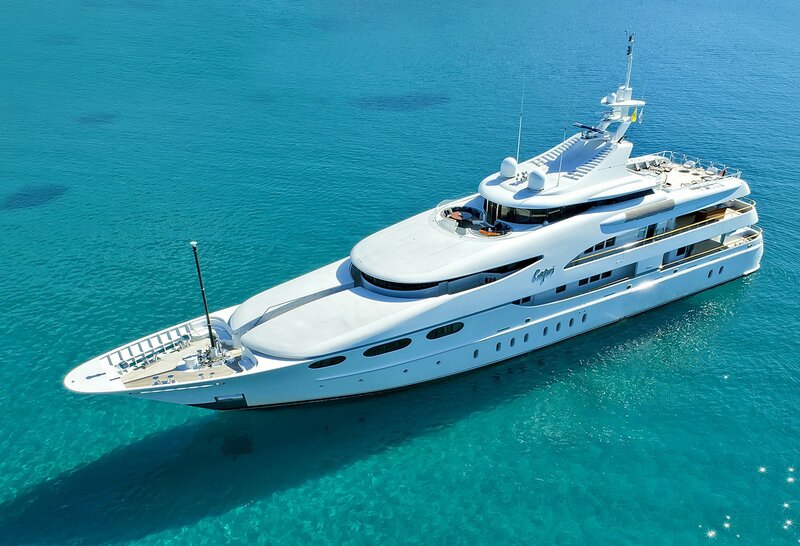 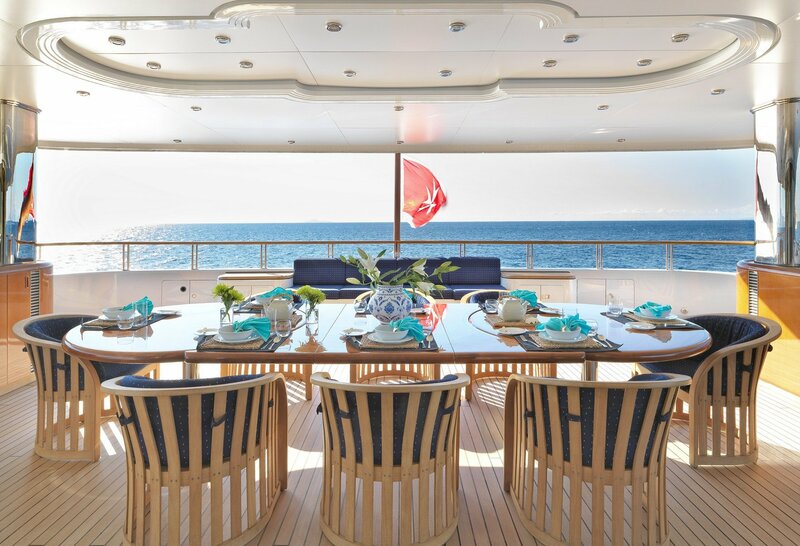 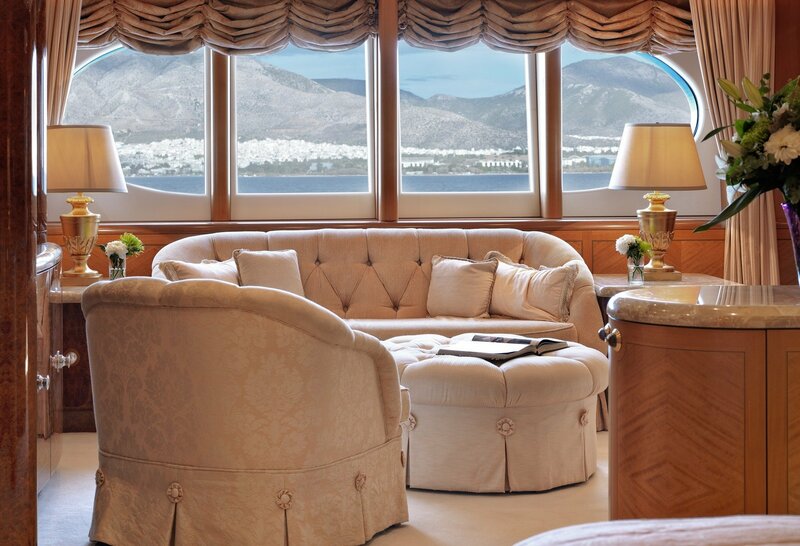 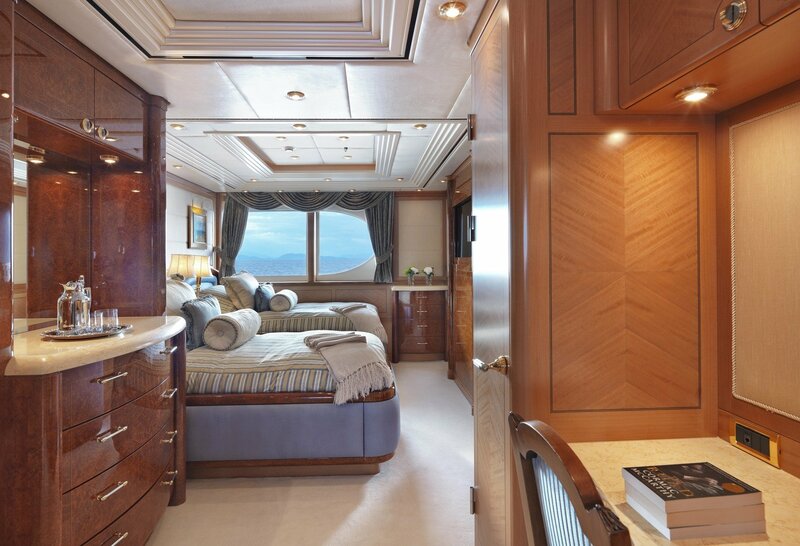 With five decks and an abundance of technical features, CAPRI I provides state-of-the-art luxury. 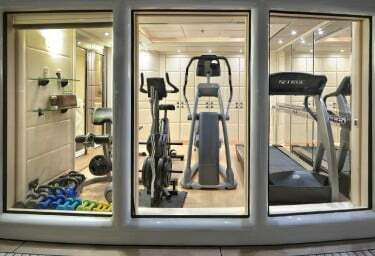 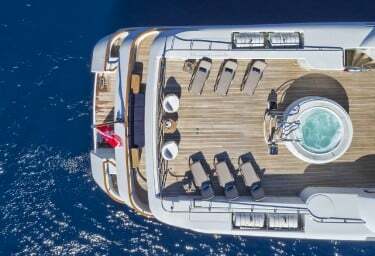 There’s a top deck observation room with private deck, fully-equipped gym on the sundeck, multiple areas for lounging and dining, a library and grand piano, plus an on-board masseuse for total pampering. 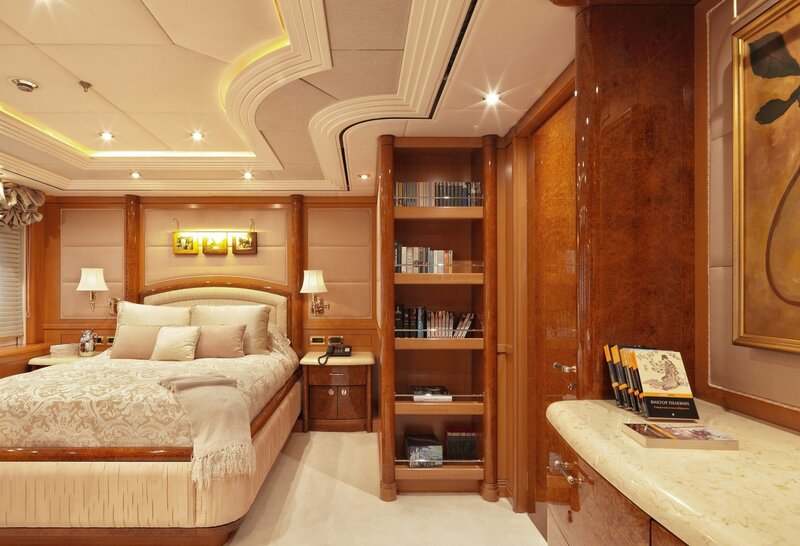 The interior design aboard CAPRI I is the vision of Glade Johnson, who has managed to combine classical elegance with contemporary elements. 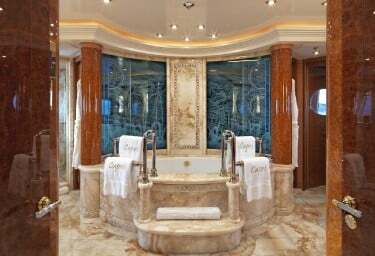 The formal areas are characterized by inlayed marble, mosaics, burled woods, silk fabrics, decorative window treatments and ornate ceilings, while the more casual sections feature contemporary furnishings in a ‘beach house’ style. 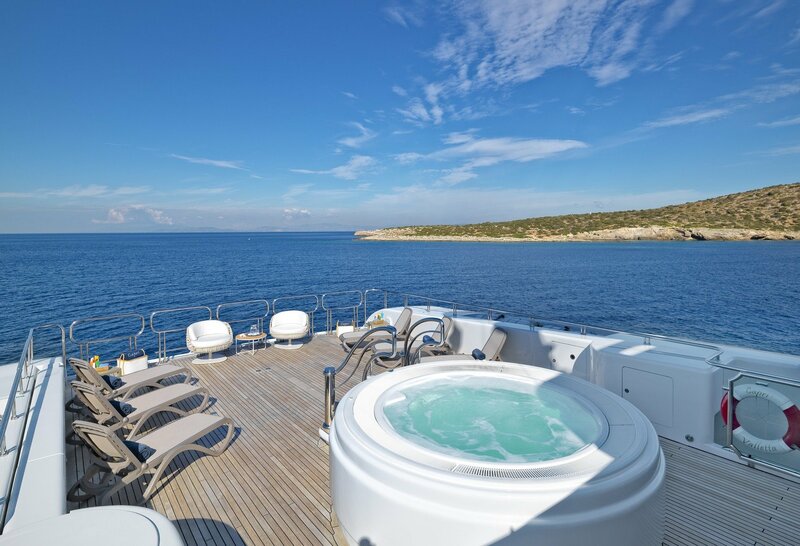 One of this marvellous vessel’s standout features is the observation deck that provides panoramic views forward from inside and from a wind-protected outside area. 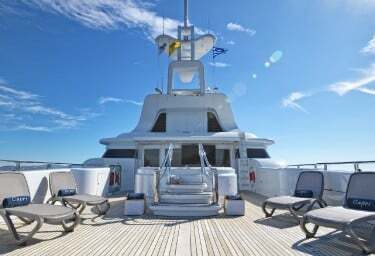 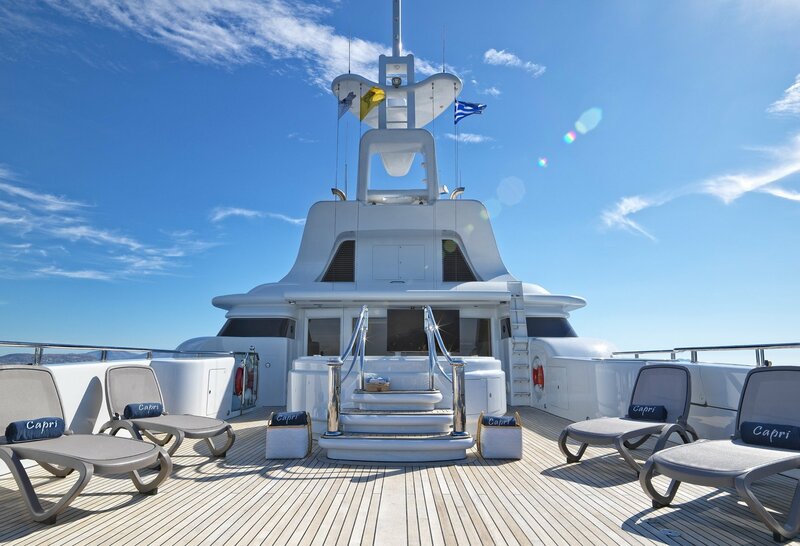 A gym, outdoor jacuzzi and flexible seating are found on this deck, which doubles as sundeck or helipad as required. 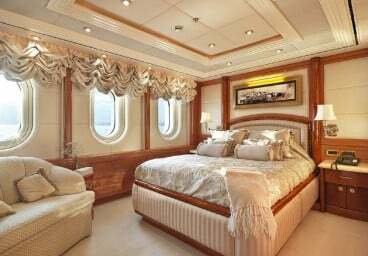 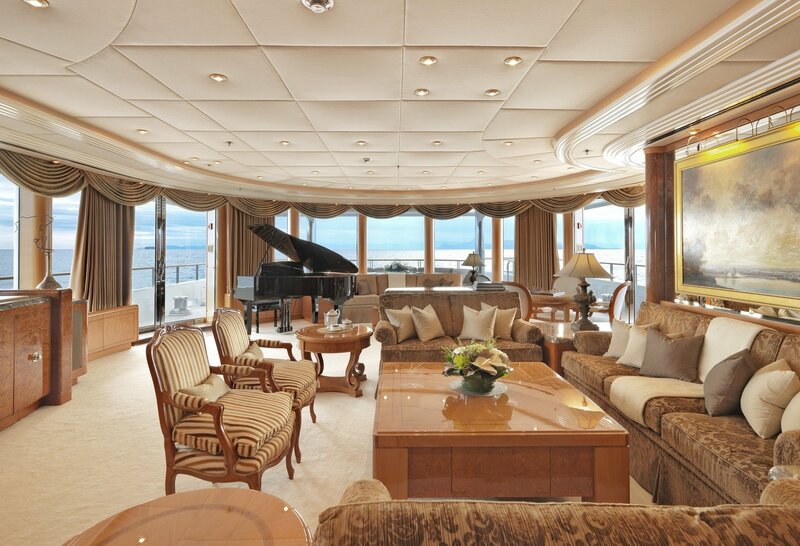 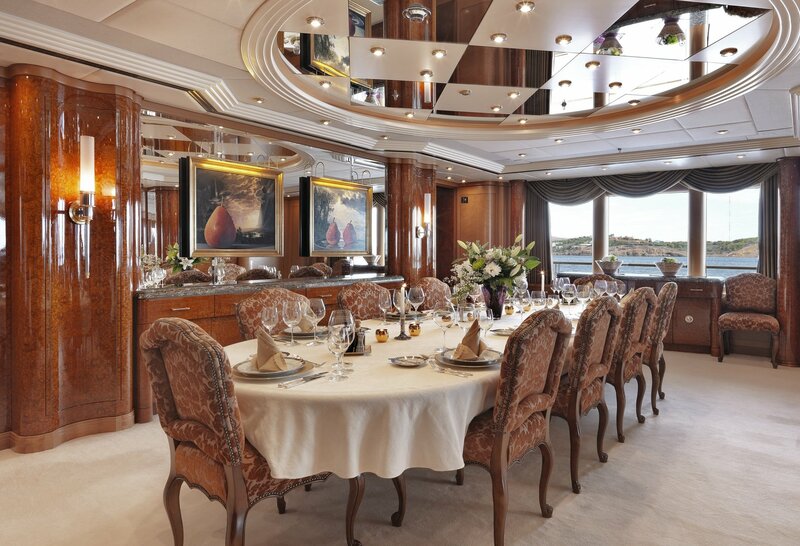 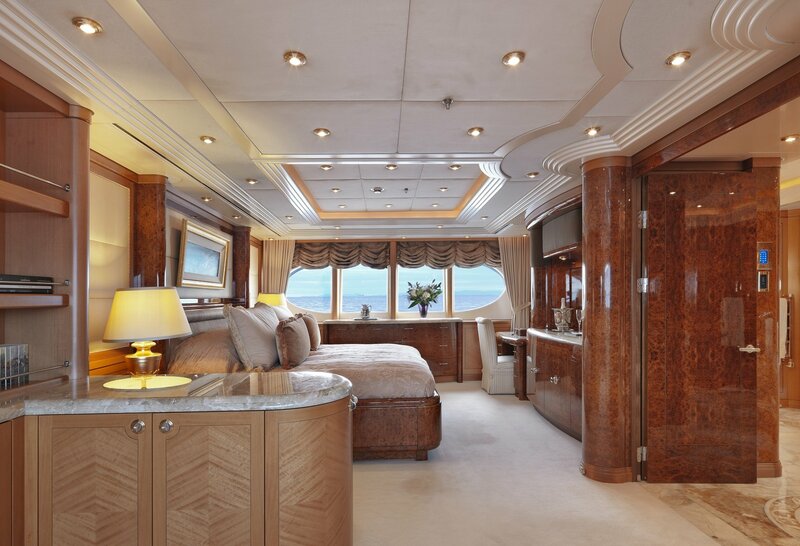 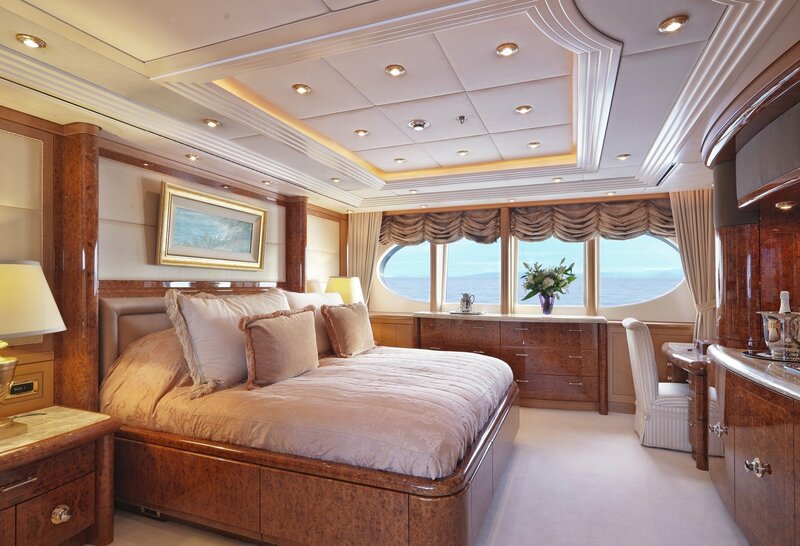 On the aft main deck, there’s a palatial main saloon and formal dining room with Yamaha grand piano. 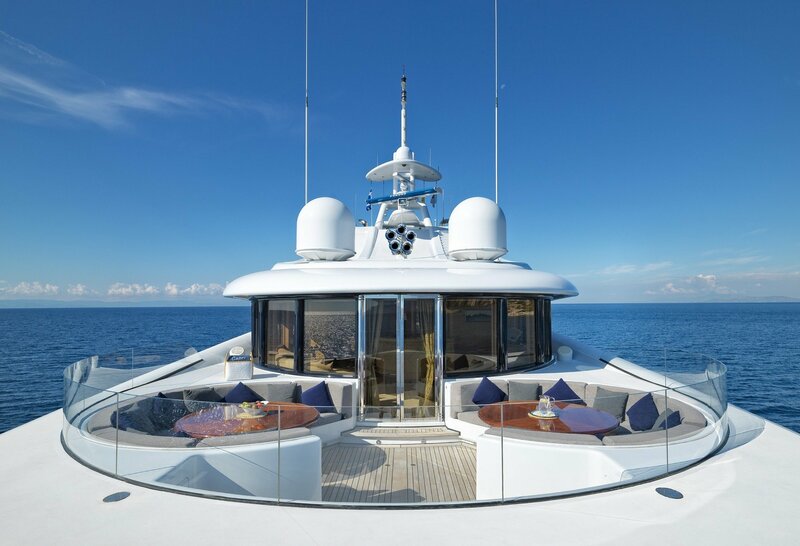 The upper deck houses the grand skylounge, decked out in white, where a theatre, bar and two separate seating areas make this area a popular spot for guests. 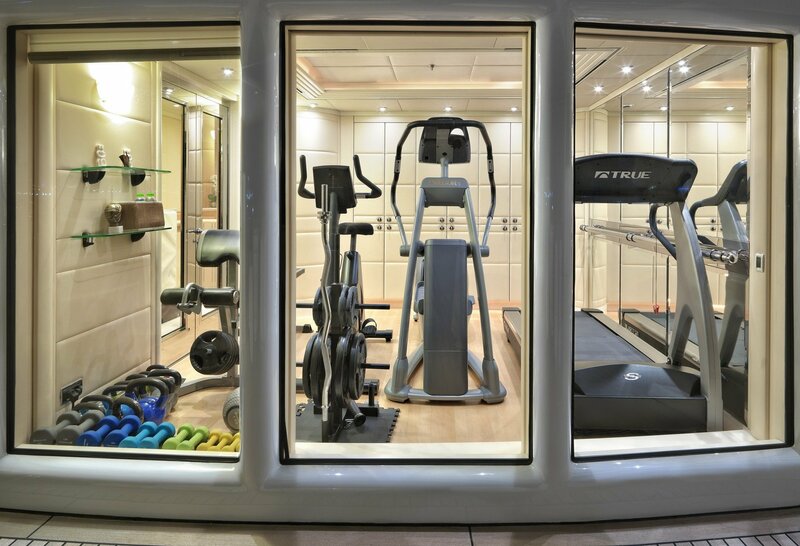 In each cabin and social area, guests can control the climate and entertainment with iPads using a Crestron app. 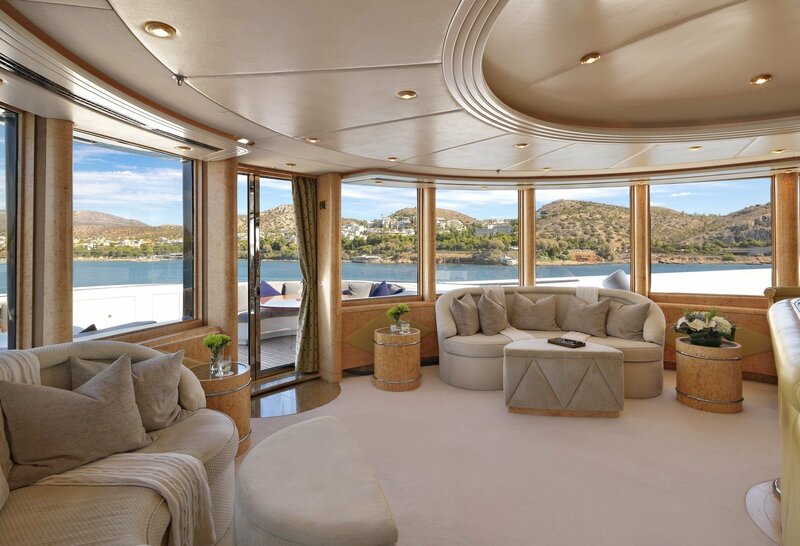 Each area has its own satellite receiver for Sky television in addition to over 3,000 movies and over 100,000 songs on-demand through a Kaleidescape AV server. 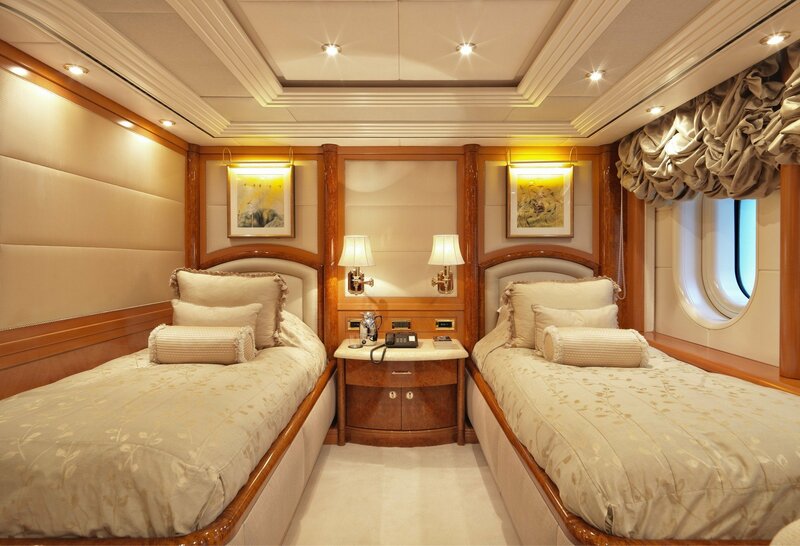 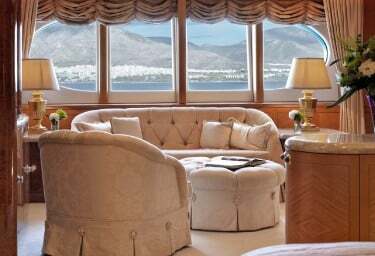 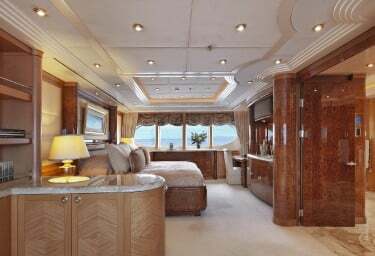 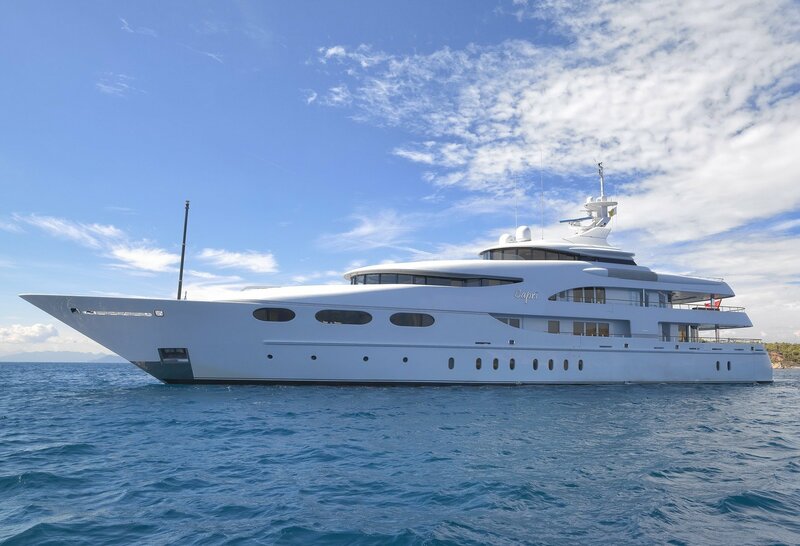 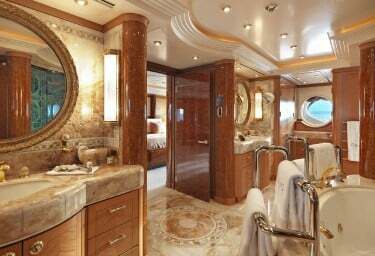 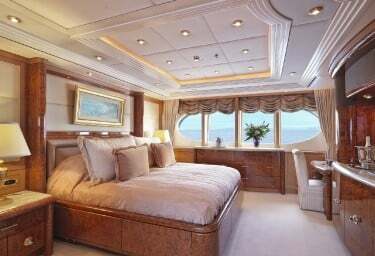 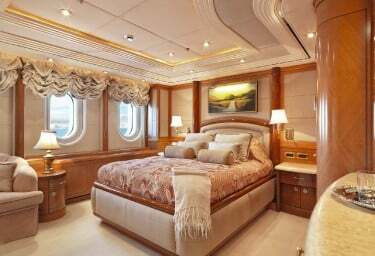 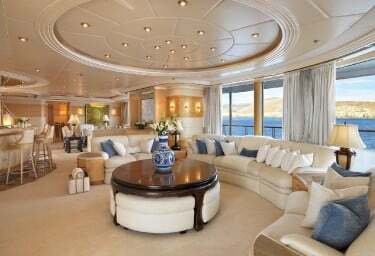 CAPRI I accommodates 12 guests in six cabins, including a full-beam master suite and VIP cabin on the main deck along with three doubles and a twin below deck, all with 42-inch plasma television screens and marble ensuites that boast bathtubs for complete relaxation. 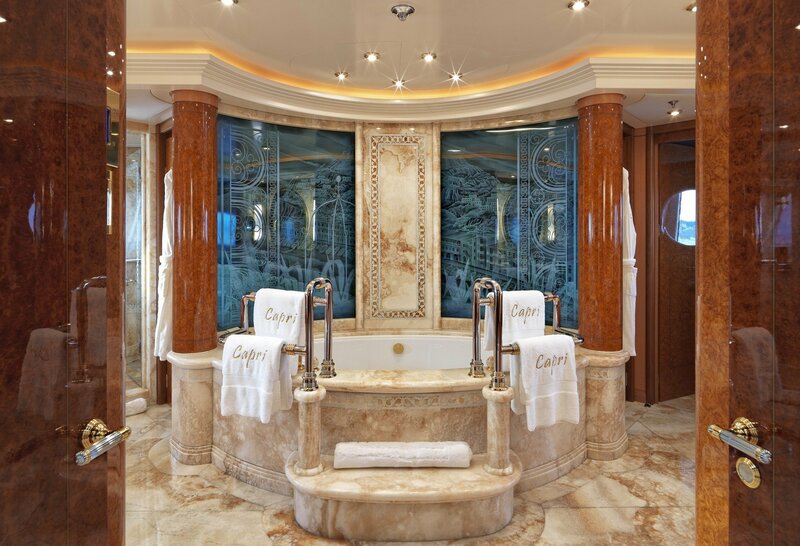 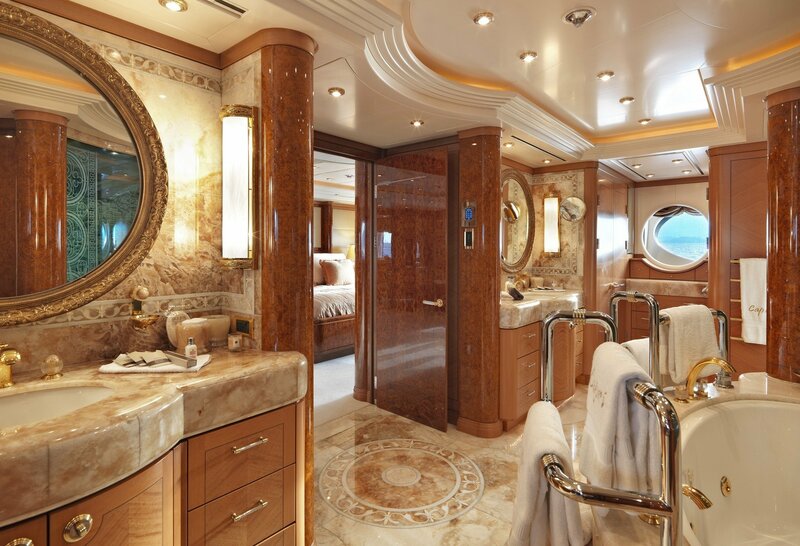 On the main deck, the master stateroom features an immense onyx bathroom, the highlight being a backlit glass etching depicting the port in the Isle of Capri, after which she was named. 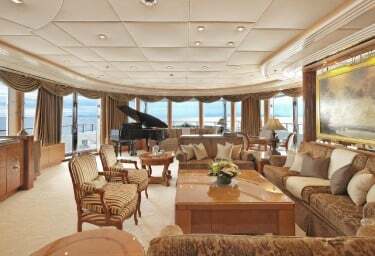 Adjacent to the stateroom is an office, library, sitting room, and the VIP suite, which can convert to a children’s cabin. 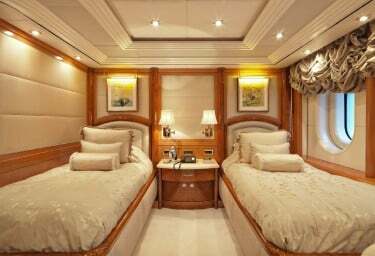 On the lower deck, there are three double guest cabins on the lower deck with queen sized beds, and one twin guest cabin. 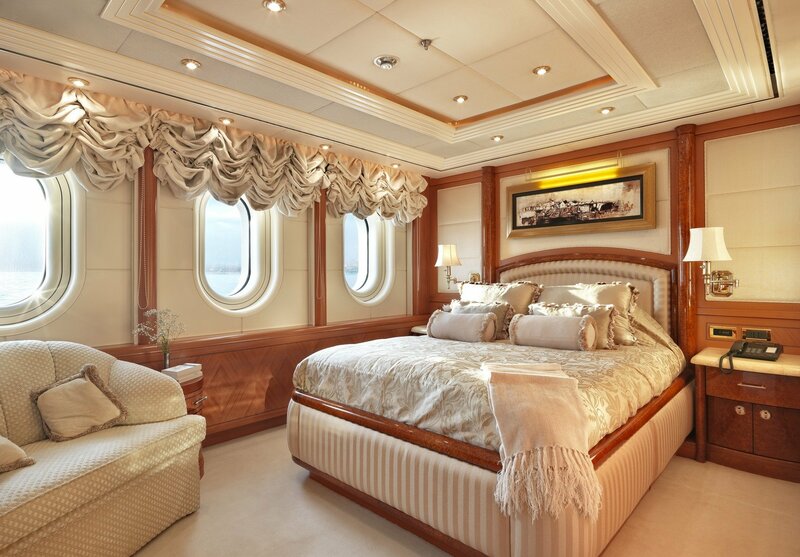 The extra-large windows ensure lots of light and soothing sea views in each cabin. 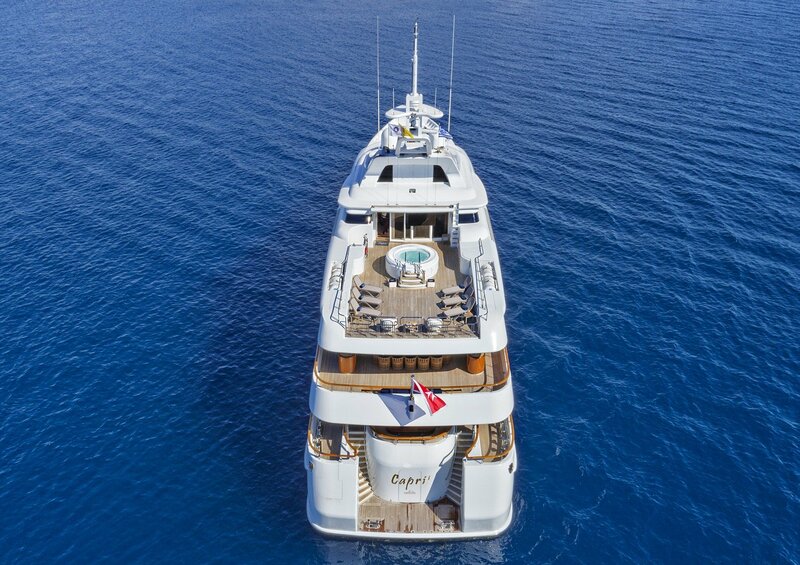 CAPRI I is a fabulous choice for charter guests who enjoy floating on, diving beneath or simply staring at the water. Along with two tenders, a 650 Rib Eye custom RIB tender for skiing and towing and a Capelli 625 Tempest RIB tender, there are two Yamaha Cruiser jetskis, a Yamaha Waverunner, two Seabob F5S, a Flyboard Pro Series, inflatable kayak, SUPS, Island Hopper water trampoline, banana, donuts, Sea Biscuit, waterskis, monoski, wakeboards, snorkelling equipment and scuba sets, plus for exploring onshore, a Segway, scooter an beach barbecue kit with gazebo, table and chairs for 12 guests. 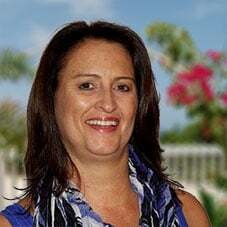 CAPRI I is helmed by a knowledgeable Greek Captain who leads 15 professional crew with many decades of charter experience among them and a passion for presenting the best of the Mediterranean to guests of the captivating CAPRI I.